From his childhood years he focused on the martial arts, which led him to study traditional Eastern religions, especially Buddhism. After a period of many years, Tokashi Kishi came to know Christianity, the result of having read very many books. Christianity for Tokashi was another ethical teaching and appeared to him something like Buddhism. After a visit to Russia he felt an inner desire to learn more about Orthodoxy. 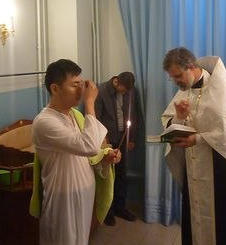 His desire to become a Christian became even stronger when he returned to Japan, where following his Catechism in the Japanese language, he accepted the Orthodox Church. 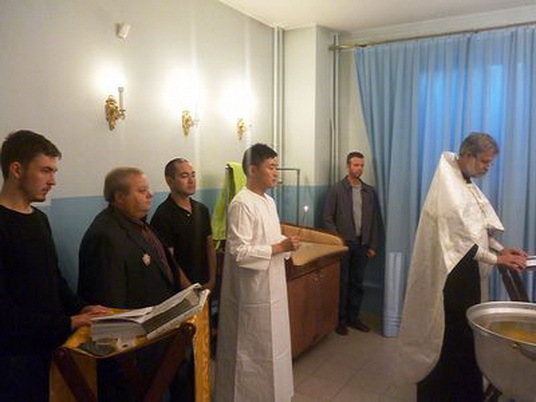 A short while ago he visited Russia again, and announced his desire to be baptized an Orthodox Christian. With the blessing of Metropolitan John of Belgorod, the Japanese martial arts fighter was baptized and received the name of Saint John the Baptist. 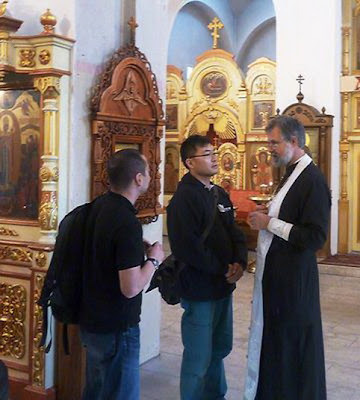 Orthodoxy has no language or cultural barrier. The truth is its common denominator. What a lovely story! God Bless and Keep our latest John the Baptist — obviously following in hallowed steps. Axios! I would love to know more about his testimony and his martial art.